When constructing your new Calgary area dream home with your builder, you will literally have scores of interesting (and sometimes complicated) decisions to make about all of the details you wish to see in your completed house. Choices such as what roofing to use, whether to have skylights, the kind of siding you would like, paint colours, the look of trim work, to have quartz or marble counters, the type of flooring in the main living areas, etc., will all have to be made. Just as all the details of your house will be meticulously addressed with your Fine Line Homes representative, your method of financing should be chosen just as carefully. There are various methods for funding a custom-made dream home in or near Calgary. Provided here are two of the most common ways to finance a new construction and some general tips about contract details. Cash— Nothing is simpler than already having all of the money on hand to purchase both the lot you want and to build your custom dream home. If you currently have the funds your home building project will require, your builder may work on a surety bond basis. There are several types of these bonds that can apply to construction contracts, including performance or payment bonds. These types of bonds do not require the involvement of a bank, however, most buyers are not well capitalized enough to go this route. Progress Draw—The vast majority of buyers financing a custom home will require the involvement of a mortgage lender. The progress draw contract is most commonly used as it protects both the buyer and the contractor by fractionally issuing the mortgage funds as certain construction milestones are achieved. 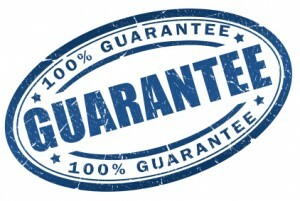 Typically, the buyer will undergo all of the standard eligibility paperwork. Then once the standard lending requirements are met, the successful borrower will create a mortgage that pays the contractor in three or four installments as building progress is made. An independent inspector, who checks whether or not construction is moving forward properly, determines the release of monies. Commonly these payments are linked to key events in construction. Usually, the first draw is made once the slab is poured, or the structure’s roof is completed, as those represents the earliest stage of completion. Another draw is usually made when the exterior is all in place and the site can be locked. If the property is rural, the well and septic tank will have been made operational at this point as well. The final draw is made when the final inspection certifies the house is completed. If you are making allowances for extras like a commercial gas range, make sure such details are accurately documented. It is easier to prevent mistakes than it is to correct them once made. -Understand – with the recommended advice of your own attorney – how the contract is to be satisfied. How will delays will be handled? When is the expected move in date? Leave no room for misunderstanding or creative re-interpretation. Even if the house is your “forever” dream home, build it with an eye towards its future marketability. Don’t make it too quirky for the average buyer. Also, make sure your house is built with its neighbourhood in mind. Too much or too little house, that sticks out and looks odd, makes for a difficult resale if you ever want to take on the building process again. If you’d like more information, please don’t hesitate to contact us. At Fine Line Homes, we’re always happy to hear from you.